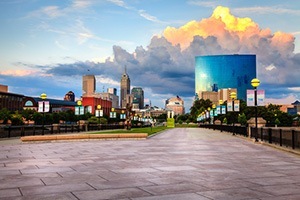 Indianapolis is more than just a race track. This city is also the corporate headquarters for major companies such as Anthem and Eli Lilly. It is also the fourth largest growth area for high-tech jobs in United States and is a fantastic place for employee relocation. There's opportunity in this city as well as great living environments. That does not mean there are no problems at all. This is a modern city and the employees are faced with setbacks that sometimes their own parents never knew about. A number of the challenges are best met with pre-paid legal services or a financial wellness plan. It could be help with any number of confusing legal papers. Good pre-paid legal services will allow somebody to have an attorney interpret the language. A group legal plan can be a godsend for somebody who is struggling with local government bureaucracy. There can be other issues such as having a will for an estate. It is also true that problems arise without warning, and a group legal plan can offer support. Daily life is at a frantic pace and emergencies happen without warning. You can be having small claims court problems or dealings with consumer protection. A person needs help as soon as possible and it has to be the right type of assistance. Budget and credit card difficulties can add incredible amounts of stress. It can happen an employee spends more time worrying about financial wellness and less on deadlines which have to be met. The quality of production can diminish because of this. Countrywide Pre-Paid Legal Services knows that employees need benefits that are a bit more than the ordinary. We have worked with organizations since 1987; we understand what the modern employee needs to resolve everyday problems. We offer excellent pre-paid legal services, but this is not the only benefit that Countrywide can give to a client. We also have a financial wellness plan that can be considered. Employers have to realize that financial difficulties might be a problem. Your employees may be struggling with college debt, or employees with families are trying to determine the budget. Credit card debt is always something that can cause anxiety and threatens financial wellness. Countrywide provides the right kind of service with counselors who are sensitive to needs and can deliver solutions to problems. A modern employer must stay alert. Your organization has to keep a finger on the pulse of the workforce and make sure everything enhances productivity. What kind of benefits will do that? Benefits such as a group legal plan or financial wellness systems are extremely viable for morale. They are stress reducers; they get rid of irritating problems of legal issues or financial concerns. An employee is better able to concentrate on the business at hand when these aggravations are resolved. Decision-makers want to help every employee and the demographics are important. There are certain benefit options that are more important for certain age groups. Being able to choose what benefits are part of the plan can help. Countrywide allows clients to choose what will be in the plan document. The results are benefits that are better suited for the demographics of the workplace. It doesn't matter if the benefit plan is in Indianapolis or someplace else. Wherever Countrywide is represented, high quality service is part of the package. Our administration is intended to see to it people get what they need quickly. Our success over the years is because of our ability to go the extra mile for any client. We encourage Indianapolis employers to inquire about all of our group legal plan and financial wellness benefit options. We welcome the opportunity to explain in detail everything that we have which would make life easier for your employees. Please do feel free to contact us at your convenience. Please also ask as many questions as you would like.